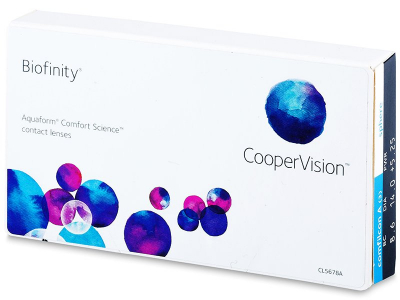 Biofinity lenses from CooperVision are monthly lenses made of a silicone-hydrogel material. They have a high level of oxygen permeability, which makes them suitable for extended wear for some users. 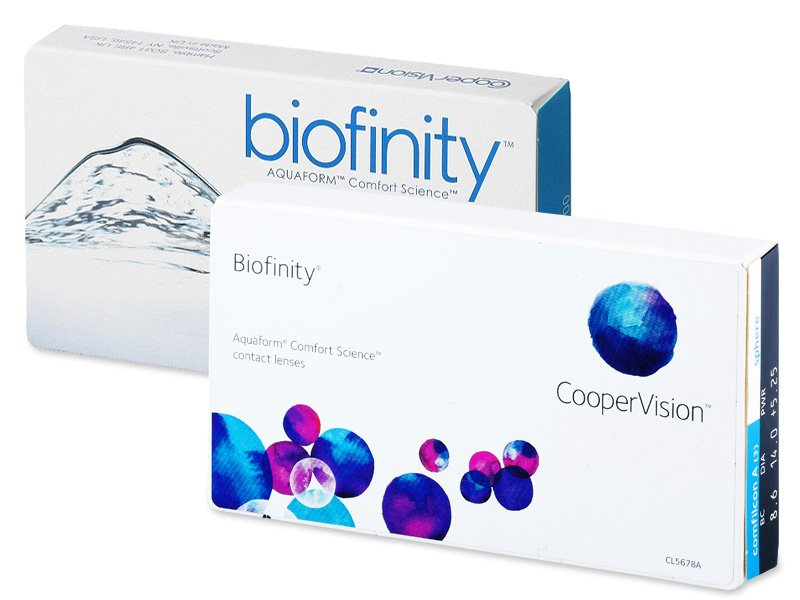 Biofinity are silicone-hydrogel contact lenses with a monthly replacement schedule manufactured by CooperVision. Their special material combines a high water content with excellent oxygen permeability. 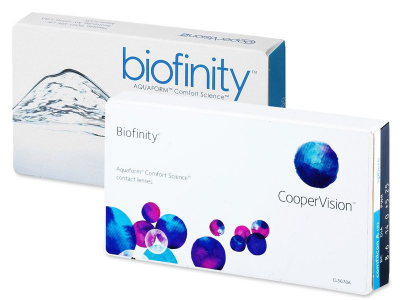 Thanks to Biofinity contacts’ balanced ratio of water content and oxygen permeability, they are suitable for extended wear. This package contains three lenses. Read more about Biofinity contact lenses. After wearing glasses for a number of years I decided to try these based on my opticians recommendation. Bought them online as they were a bit cheaper and I’m really pleased with my purchase, can go about my day without realising they’re in.